It is the year 1999, you are sitting on the couch with your friends, PlayStation controller in your hands. The CD with a gem of a racing game is spinning in your console, playing Rollcage. Its high speeds, brutal combat and ‘drive where you want’ were a recipe for success. Sadly, this was the only time the game was seen and when the supporting generation of consoles got surpassed by more powerful hardware, other games became mainstream. Most of the kids who played this title in their youth are now in their twenties or even thirties. Thanks to modern-day Indie developers, there’s a trend to bring the classics back to life, including an homage to Banjo-Kazooie, Wipeout, Road Rash and even System Shock. 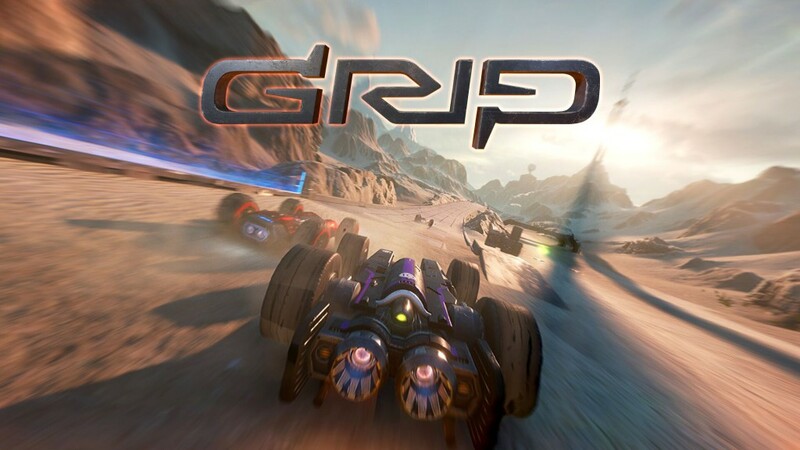 GRIP: Combat Racing is the spiritual successor of Rollcage, not officially but made in homage to this nineteen-year-old title. It takes all the well-loved elements and puts them into a new jacket thanks to the help of Robert Baker, a programmer of the original Rollcage. After the very long intro, you might expect each section of this review to be elaborate. Sorry to disappoint the readers, but, like many arcade racing games, GRIP: Combat Racing completely lacks a story. You can jump into the championship mode and complete championships, which basically sums things up. The game is set in the future where cars have been designed to be as aerodynamic as possible to go at high speeds while driving on all kinds of surfaces and elevations. There is no flow or no real backstory on anything, it’s just about starting up and racing. In twenty years a lot of progress has been made when it comes to creating better, smoother and nicer graphics. Indeed, if you compare GRIP with Rollcage, you will almost fall out of your chair from shock. 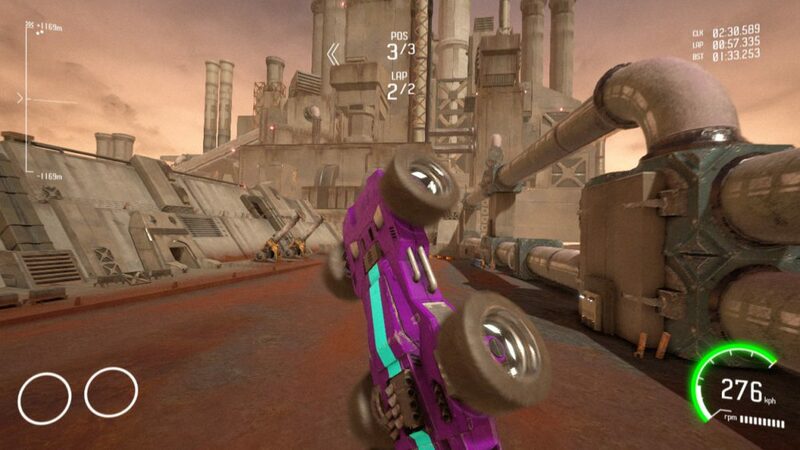 GRIP: Combat Racing is a beautiful game in each aspect. You notice how powerful computers and consoles are these days by looking at the mind-blowing level of detail. Level design has been done so nicely that you get the feeling that you are actually there, driving in a desert with sand flying all over the screen or driving in this nature-inspired utopia where the grass is that realistic you can almost smell it. The vehicles themselves are also masterpieces. Each one has their own unique characteristics; some are sleek, some are bulky, and they are customizable to the user’s desires. You can compare it to a Forza game set in the far future, one with large-wheeled instead of flying cars. Another superb point of GRIP: Combat Racing is the sound, from the roaring engines to rockets flying over and its great music, making it a spectacle. Cars have this bulky masculine sound to them, which makes sense as the power plant that is housed in the engine bay produces thousands of horse powers to make the vehicles reach their phenomenal speeds. The sound effects of weapons are also how they should be: machinegun fire feels empowering and the whistling rockets that fly by are both intimidating and mighty. Last but not least is the soundtrack, the game has many songs from unknown bands that actually fit the bill perfectly and give this high-speed outer space race driving experience. 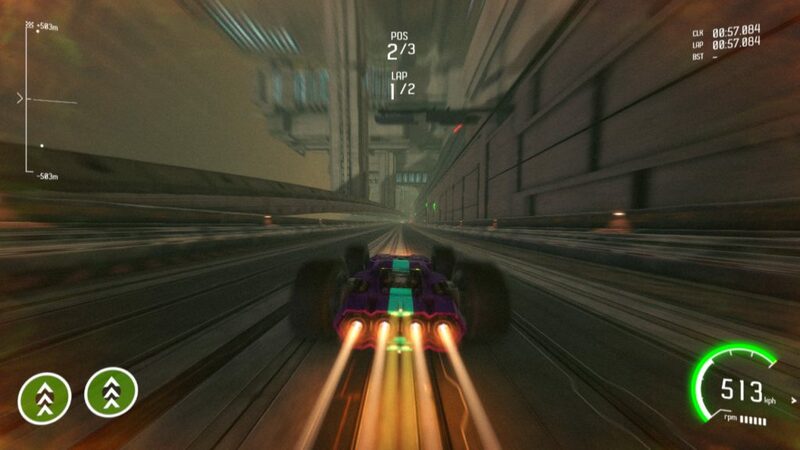 GRIP: Combat Racing is a high-speed racing game that brings homage to the 1999 Rollcage title. Players drive these high-powered cars that, thanks to their huge tires and sleek aerodynamics, are able to drive on each terrain and slope. What made the original game so cool was that you were not limited to driving on the flat road. 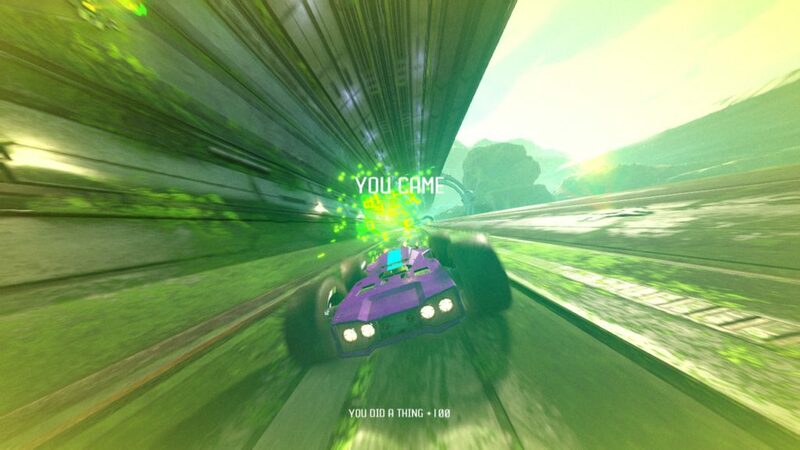 Most of the players must have fantasized about driving on the tunnel walls and found their imagination coming true in this game. The developers have utilized the modern technologies not only to let you ride on the simple walls of tunnels, but also to create levels that are far from flat. Like most males enjoying their partners curvy, GRIP drivers enjoy their tracks similarly. If you are looking for a lot of content, you might be a bit disappointed. There are a few race modes but only in the championship mode, true progression is possible. There is some variation in the races, but nevertheless, they can become boring quite fast. A.I. can be very tricky as well: you and your opponents can be side-to-side, but in the blink of the eye they can suddenly just pull bus lengths on you. This can be explained by how the game actually works. As you may have noticed, this is not your average racing game: here you can use either boosters to aid yourself or weapons to stop the opponent dead in their tracks. Fans of the 1999 Rollcage title have been looking forward to a modern version of the game and, oh boy, did the developer create something brutal! Graphics are beautiful, sound and music is great, and the gameplay just works how it should be. With its release on both console and PC, you might want to call your childhood friends for an adrenaline-filled evening.